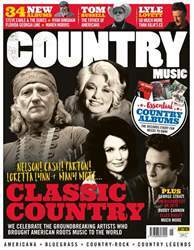 You’re reading a UK-based magazine about country music – the international reach of traditional music from the United States is, in that sense, pretty self-evident. Take a look, too, at our special news report this month about the hugely successful AmericanaFest UK, to further gauge the success of US roots music on this side of the pond. This year’s conference in Hackney was another runaway success, bursting at the seams with fascinating Q&A sessions, showcase gigs, as well as its hotly-contested annual awards.